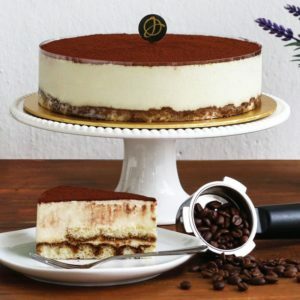 Cheesecake and coffee is the perfect match to spend your weekend with a bunch of friends, chit chatting and gossiping, while enjoying a slice of delectable cheesecake and a cup of freshly brewed coffee. 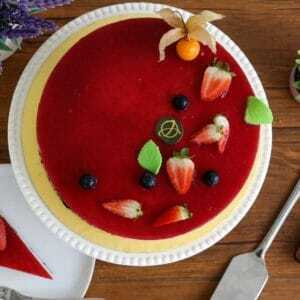 Cheesecake is a beloved and popular dessert all around the world. 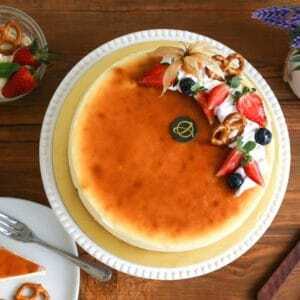 It is a creamy rich dessert made with cheese, typically cream cheese. 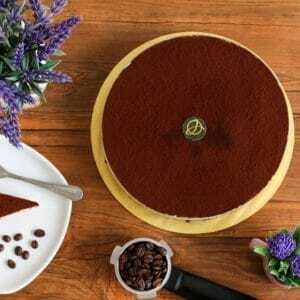 It has a smooth texture and decadently rich flavour, taste slightly sweet and has a tangy aroma. 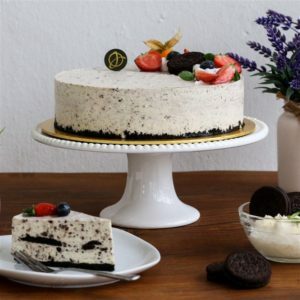 It is creamy and yet easy to swallow, giving you a melts in mouth sensation and make you craving for just another bite. 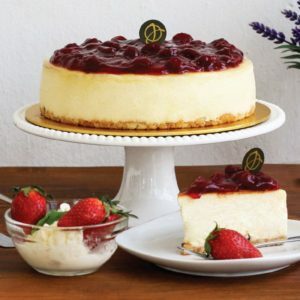 Cheesecake is typically made of a mixture of cream cheese, eggs, and sugar, while the base usually consists of a crust made from crushed buttered biscuits. 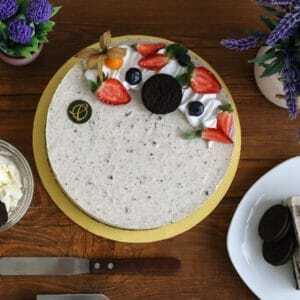 The cake either baked or unbaked, is usually served chilled to give a cool, delicate and tongue tantalising sensation. 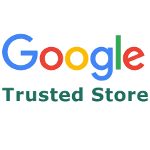 The cake may be topped and garnished with fresh fruits, nuts, chocolate glaze, whipped cream and fruit jelly to make it more appealing and tempting. 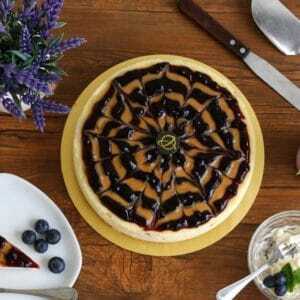 Cheesecake can also be varied almost endlessly. 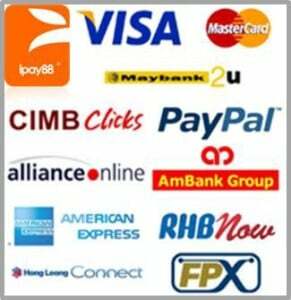 It can be made in varies flavour, such as blueberry, strawberry, raspberry, mango, lemon, orange, oreo, green tea, hazelnut and so on. 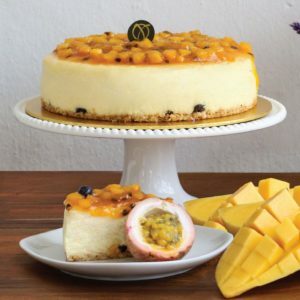 It was believed that the first cheesecake was created on the Greek island of Samos, when they served to the athletes during the first Olympic games in 776 B.C. 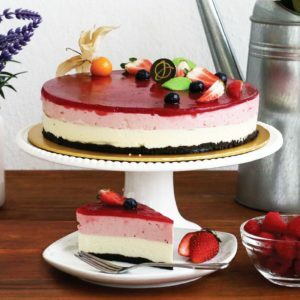 The Greeks believed that cheesecake is a good source of energy for the athletes and they baked the cake with some simple ingredients which includes cheese, flour, wheat, and honey. 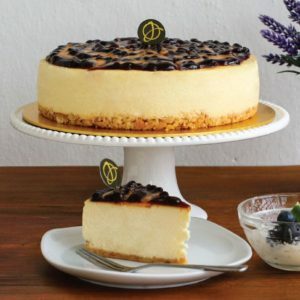 However, when the Romans conquered Greece, they improve the recipes by adding crushed cheese and eggs to enhance the flavour and taste of cheesecake. 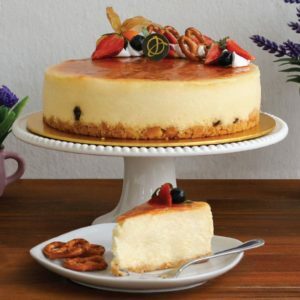 As the Romans expanded their empire, they spread the cheesecake recipes throughout Europe. 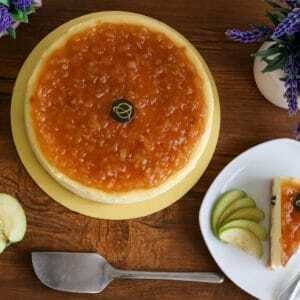 The Europeans start to modify the recipes by replacing yeast with beaten eggs in order to make the cake rise, and the act of removing the yeast flavor had made the cheesecake tasted more like a dessert. 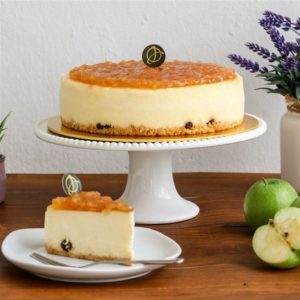 After that the recipes were being brought into America when some of the Europeans immigrated to America and from there, the cheesecake start to look and taste similar to something we had today.